The amount of money that you pay every month for your life insurance policy is based on a number of different factors. You might be surprised to learn that your driving record affects your life insurance rates.. Insurance companies are always assessing the risks involved in taking on a new policyholder. They need to make sure that they receive a decent return on their investment. This means combing through a policyholder’s medical history, lifestyle and their driving record in order to assess the risk. If you think that you’re paying too much for life insurance, your history on the road might have something to do with it. Learn more about how your driving record can affect life insurance premiums. Insurance companies are accustomed to doing research on their customers prior to issuing a policy. This is their way of calculating how much money people should pay for life insurance. If a young, healthy person purchases life insurance, they will pay less than someone with a serious heart condition who’s in their late 50s. This is because the insurance company can expect to receive premiums from the healthy customer for a much longer period of time. The same is true of a person’s driving record. If someone has a history of automobile accidents, driving without a seatbelt, speeding, or driving under the influence of drugs or alcohol, the insurance company is taking on more risk by issuing a policy to that person. In the company’s eyes, this person might not be around for very long to pay their life insurance premiums. On the other hand, a customer with a clean driving record represents less of a risk, and therefore, will pay less for life insurance. Knowing that your driving record affects your life insurance rates, it makes sense that you do your best to follow the traffic laws and keep your record sparkling clean. If you’re considering purchasing life insurance, you can lower your premiums by leading a healthy lifestyle and by staying safe on the road. In addition to lowering your premiums for life insurance, being a responsible driver will also help you save on your automobile insurance premiums. A minor traffic violation or a high-speed cruise can lead to some unnecessary costs down the road. Paying more for life insurance is just another reason to play it safe behind the wheel. Unfortunately, an applicant is unlikely to know how their driving record is going to affect their life insurance rates. 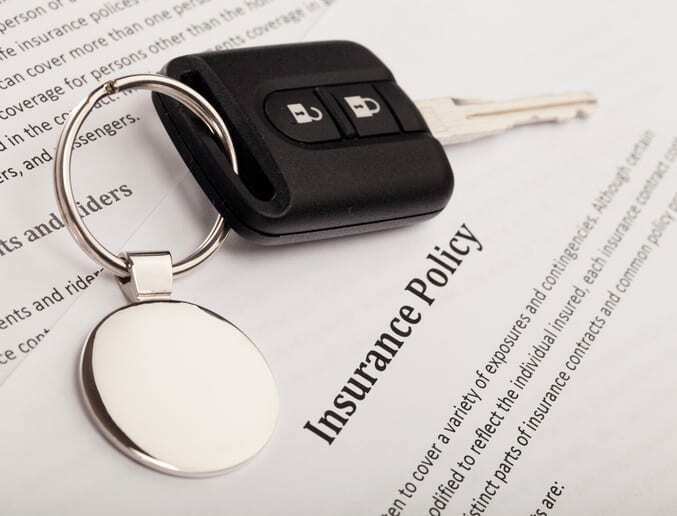 The reason for this is the insurance carrier is not going to order your Motor Vehicle Report until AFTER you decide to purchase a policy and go through the underwriting process. Motor vehicle reports generally cost the carrier up to $15 per applicant so you will have to wait until your report is returned by your state Motor Vehicle Department before you will get the final rate for your life insurance policy. If you are an applicant with a tarnished driving record, it will likely be worth your while letting your agent know in advance that you may be rated up because of your driving record and your agent can let you know in advance what to expect in terms of a surcharge. Curious how much a life insurance policy will cost you? Compare rates from top-rated life insurance companies using our life insurance quote tool now.